We from Sharing Kyoto visited many kaiseki restaurants, from up-and-coming to classics, ate there and wrote articles about our experiences. 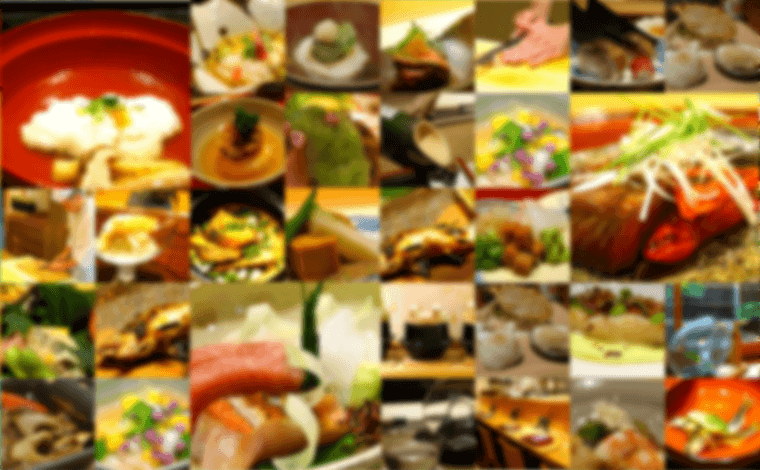 So now we, Sharing Kyoto, are going to announce our top 5 restaurants you have to visit if you come to Kyoto! You won’t regret it if you go to one of these restaurants. We hope you will give all of them a shot. The experience will be something you cannot even begin to imagine! I went to many kaiseki restaurants this year, sometimes for work, other times privately, but my favorite is Godan Miyazawa. Their endlessly creative dishes, the interior of the restaurant where you can feel the passion of the chef toward kaiseki, everything is perfect! I can heartily recommend this restaurant. My choice for the best kaiseki restaurant of 2016 is Nijo Sokkon. The seasonal feel that is so important in kaiseki is brought out in their food, plates and bowls, and in the interior of the restaurant. The restaurant is different every time you visit, so you want to go again and again! Please make a reservation at Nijo Sokkon when you come to Kyoto! What is Kaiseki Cuisine ? Kaiseki cuisine is a style of traditional Japanese cuisine born from old Zen Buddhist traditions. Originally kaiseki cuisine was eaten before tea ceremonies to lessen the stimulation of matcha tea drunk during the ceremony. The most fascinating part of kaiseki is the four seasons represented through the dishes. In kaiseki it is possible to feel the four seasons through the dishes and the plates and bowls they are served on. Kaiseki is the only cuisine style in the world this dedicated to replicating the four seasons on your plate. Personally my favorite is Sakai! I want to go there again and again. What makes Sakai so captivating for me is their gentle taste and their thoroughness. The chef puts great effort into the dishes, and the more you eat the more you get to know that. Once you have eaten at Sakai, you will surely lose your heart to it. Sakai is a restaurant where one would like to take his or her partner to. The food is of course great, but you can feel the warm hospitality everywhere in their service. I really like the feeling of the restaurant and it is a good place to bring your friends and family to. Jiki Miyazawa is a really popular restaurant, so it might be difficult to get a reservation but if you come to Kyoto, this restaurant is definitely worth a visit! If you want to taste genuine, magnificent kaiseki cuisine you have to come to this restaurant! Every one of the dishes has a distinct taste. I have one other reason in choosing Nijo-jo Furuta, and that is the hostess who can help you choose the sake that goes best with that particular dish. Please enjoy the exquisite balance between the sake and the food.